In a new interview, the pope says the U.S. will end up as a "prisoner" behind the wall. President Donald Trump’s plans for a border wall has attracted plenty of criticism, but it may have just received its most high-profile critic yet. In an interview with the Spanish outlet La Sexta, Pope Francis called out the president’s plans, saying that the U.S. would end up as a “prisoner” itself. “He who raises a wall ends up a prisoner of the wall he erected… If you raise a wall between people, you end up a prisoner of that wall that you raised,” the pope said. 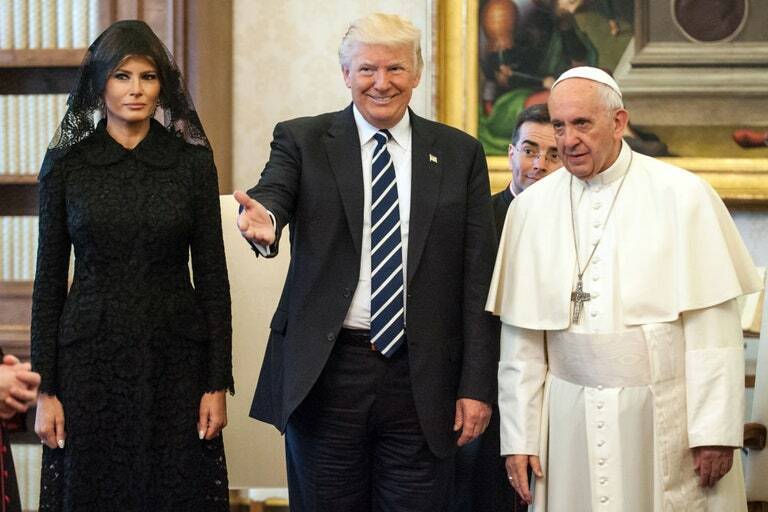 As it is, Pope Francis’s new comments on Trump’s proposed wall are the latest in a volley of criticism aimed at White House policies. From presenting Trump with a treatise on climate change to calling on the White House to extend the Deferred Action for Childhood Arrivals (DACA) program, to even questioning Trump’s professed Christianity, Pope Francis has made a habit of criticizing what he sees as the president’s ignorance and nativism over the past two years. Trump’s plans for the wall, meanwhile, continue to move in fits and starts. Over halfway through his first term, an actual complete wall is little closer to fruition than it was when he first took office in 2017. The latest developments surrounding the wall involve the Department of Homeland Security requesting Department of Defense assistance in erecting new barriers, as well as replacing current barriers. The request focuses on an area of the border totaling some 218 miles in length. However, much of the border still remains wall-free. On Sunday, though, the White House reiterated a threat of closing down the border entirely. White House Chief of Staff Mick Mulvaney said that only “something dramatic” could prevent Trump from closing the border. The announcement coincided with the State Department’s pronouncement that it was ending assistance programs to numerous Central American countries, despite rising numbers of migrants from the region.